Hristo Hristov was born on the 4th March, 1967, in Etropole. He began his career as a journalist in October, 1990, as a reporter for “Democracy”, founded that same year. It was a publication of the Union of Democratic Forces, the primary opposition movement to the communist authorities. He specialised as a court reporter and in the 1990’s covered the investigations and trials of those involved in the crimes perpetrated by the communist regime in Bulgaria. 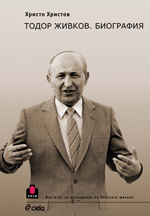 These included the murder of the Bulgarian writer, Georgi Markov, as well as the court proceedings against the director of the First Main Directorate, General Vladimir Todorov, relating to the destruction of files relating to Georgi Markov in 1992. This gave Hristov a wealth of experience, valuable contacts and sources within the State Prosecutors’ Office, the Investigation Services and the Courts. in the International Centre for Journalism in Washington. 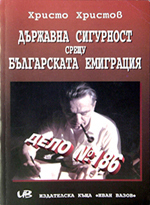 In 1998 Hristov published his first serious investigative work dedicated to the communist labour camps. The Supreme Cassation Court granted him access to the secret case of the State Prosecutor’s Office which had investigated the murders in the last of the communist regime’s labour camps in Lovech between 1959 and 1962. He studied 42 volumes of archive files and documents on the basis of which in 1999 he published a documentary work entitled, “The Secret Case of the Labour Camps”. That same year he was granted access by the Ministry of Interior to the files of the State Security Service relating to the Bulgarian émigré, Boris Arsov, who had been kidnapped and forcibly repatriated from Denmark in 1974. They contained a unique scheme for his murder as planned by the State Security Services. No other such plan has been discovered in the archives of the SSS. 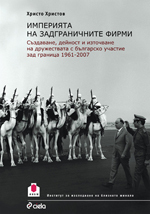 In 2000 Hristov published another documentary work entitled, “The State Security Service against the Bulgarian Émigrés”. In 1999 in the archives of the former SSS he discovered a number of hitherto unknown important documents relating to Georgi Markov, proving that the communist secret services were behind his assassination. This gave him the impetus to carry out a wide ranging investigation into a series of archives in Bulgaria and he carried out over 25 interviews with key figures in this case. 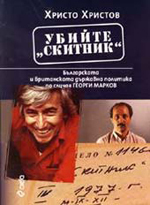 In 2005 Hristov published a book entitled, “Kill the Wanderer”, - Bulgarian and British state policies with regard to the Georgi Markov case. Hristov brought legal proceedings against the Minister of the Interior, Georgi Petkanov (2002) and the Director of the National Intelligence Service, General Kircho Kirov (2007), which he won. Bulgarian National Television have created documentary films based on a number of his investigations. 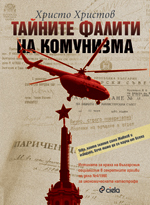 In 2007 Hristov published another documentary work, “The Secret Bankruptcies of the Communist Regime”, in which he revealed the destructive economic management of the Bulgarian Communist Party during its 45 year regime. 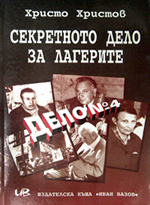 It was based on more than 1200 volumes of documents collated from the court authorities in relation to the largest court case in Bulgarian history, investigating the reasons for the economic catastrophe of communist regime. Hristov received special permission from the State Prosecutor’s Office for access to the case. 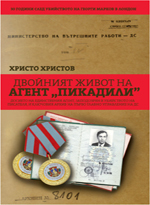 Hristov’s most recent book, “The Double Life of Agent Piccadilly” is a continuation of the book about Georgi Markov. It is based on documents from the most secret archive in Bulgaria, which has remained closed and inaccessible since 1990 – the archive of the Intelligence service of the communist regime. In accordance with the decision of the Supreme Administrative Court, Hristov was granted access to more than 100 volumes of secret archives, including the files of the sole suspect in the murder investigation, the SSS agent with the code name, “Piccadilly”. 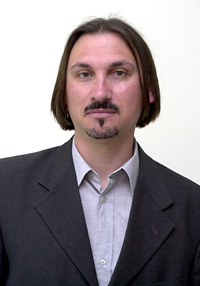 In January, 2011, he created in independent, specialise web site dedicated to the former State Security Services entitled desebg.com . In November, 2014, he began a web project dedicated to the Register of Collabrators of the State Security Services and the Intelligence Services of the Bulgarian National Army (agentibg.com ).